Max the Chimney Sweep, Inc.
For Chimney Cleaning Services, Call Now! Need Your Chimney Cleaned? Call Us! 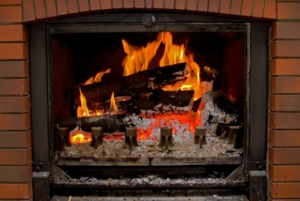 If your home is cold, chilly, and damp during the winter, then it’s time to get your chimney checked. Your home may be cold due to structural problems or just poor maintenance. Since 1978, Max the Chimney Sweep, Inc. has serviced chimneys throughout the Trumbull area and has brought warmth and glowing smiles to people in need of chimney services and maintenance. At Max the Chimney Sweep, Inc. we are committed to providing our customers with excellent chimney cleaning, repair, maintenance, and servicing of fireplaces. We can turn a deteriorating, drafty chimney into a strong and durable chimney that will provide countless evening fires for your enjoyment. Chimney Technicians at Your Service. Call Today! Copyright © 2018 maxthechimneysweep.net All rights reserved.